This is a Marlboro Gear Miles Saver Box - unused - Measurement of closed item is 4 1/8" by 6 1/4" and would fold into a box the shape of a large cigarette hard-pack with a slot in the lid to slide in the "miles". 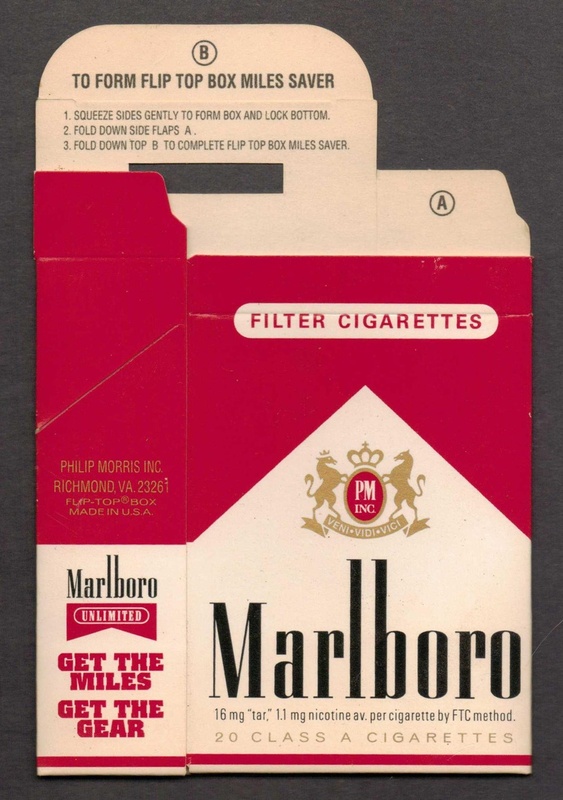 From 1994 to 2006, Philip Morris, Marlboro Cigarette’s parent company, had a merchandising promotion program whereby a satisfied costumer could mail in their proof of purchase coupons (5 "Marlboro Miles" per cigarette pack), and buy various products ranging from licensed Marlboro Zippos to denim jackets and sleeping bags from the catalog or the Marlboro Country Store. 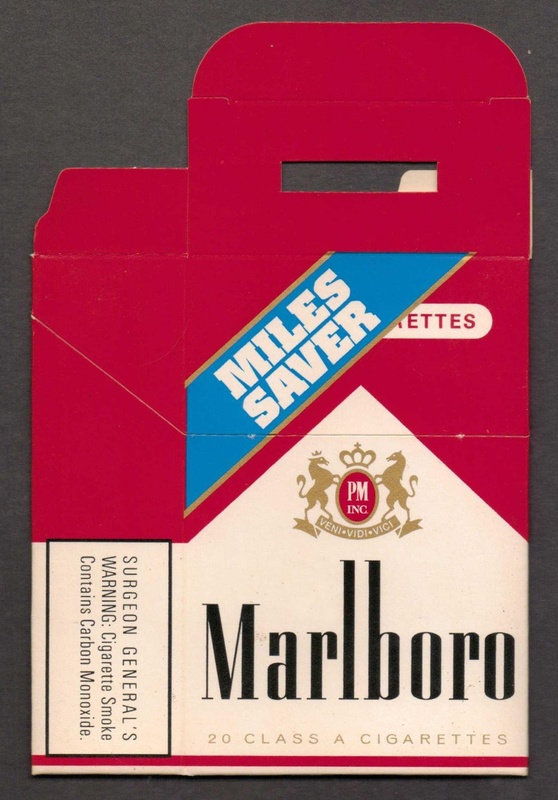 - Many of these items were from well-known quality brands such as Coleman, Victorinox, & Zippo - The program was very successful and was copied by other cigarette companies until it was discontinued due to newly enacted anti-smoking advertisement/promotion laws.